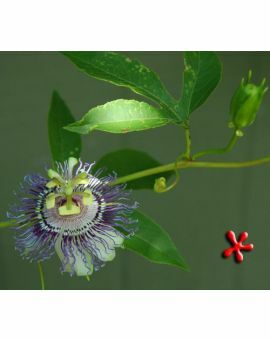 There are more than 550 species in the genus Passiflora: the passion flowers or vines. The vines are most familiar but there are some shrubs and trees in the genus. Both temperate and tropical plants are represented in the genus. 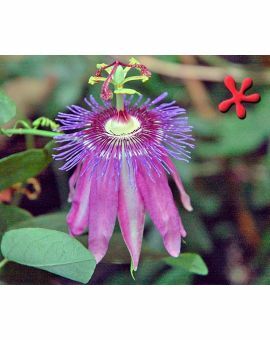 There are lots of different kinds and colors of passion flowers to suit most tastes. 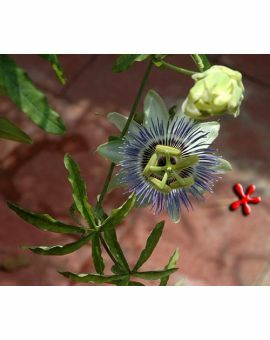 The name of the passion flower refers to the interesting structure of its flowers and leaves. The leaves, tendrils, petals, and radial filaments evoke the Holy Lance, flagellation of Christ, the ten apostles and the crown of thorns respectively. 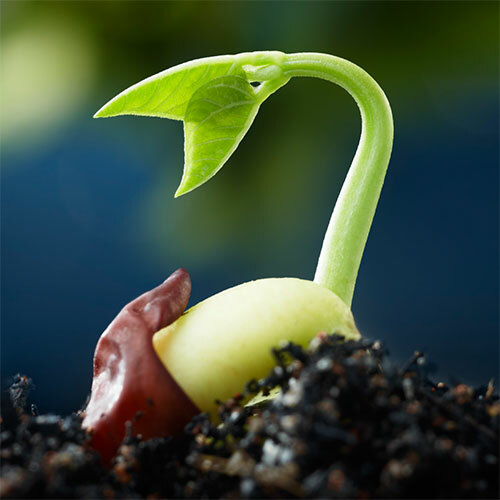 Beyond the Christian world, the plant takes up varied local names such as clock vine or clock flower. Most passion vines come from Mexico, Central America and Northern South America into Brazil, but there are some that originate in tropical Asia and into Australia. They are characterized by their vining habit and Exotic flowers. The vines use tendrils to latch on to whatever they can grip and to support the plant on its journey upward. The flowers can have colorful and showy filaments above which are held the stigmas and anthers. The filaments and anthers perch atop the petals. Depending on the species or variety, the flowers can be large and colorful in different shades of red, purple, blue or white. Some varieties have drab flowers but colorful and interesting leaves. 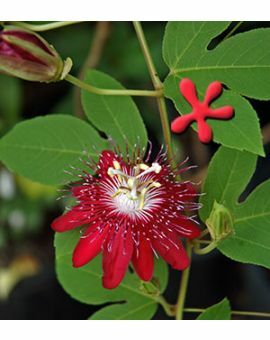 You may be forgiven to think only of the ornamental vines when it comes to passion flowers, but the genus has plenty of room for some weird entries in the form of shrubs and trees. Those are very rare and are very demanding in care similar to their native habitats. More common are the fruiting varieties from which we get passion fruit. Some species are grown for their fruit as well as their ornamental value. 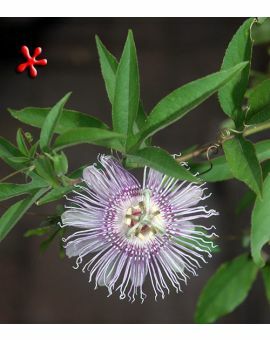 Known as granadilla, maracuja, maypop or simply passion fruit. They are an important tasty source of nutrition and income in some parts of the tropics.